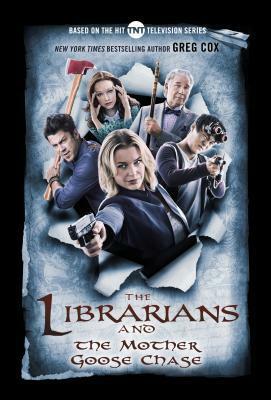 The Librarians and the Mother Goose Chase is another fantastically fun and entertaining addition to the series. This time around our intrepid team of Librarians are tasked with saving not only the world, but the entirety of creation from the clutches of Mother Goose of all things. Those innocent childhood rhymes we all learned as kids turn out to be not so innocent after all. As with the first instalment Greg Cox continues to capture the tone and feel of the TV series perfectly. All the humour, snark and witty banter that makes the show so much fun can be found in bucketloads. 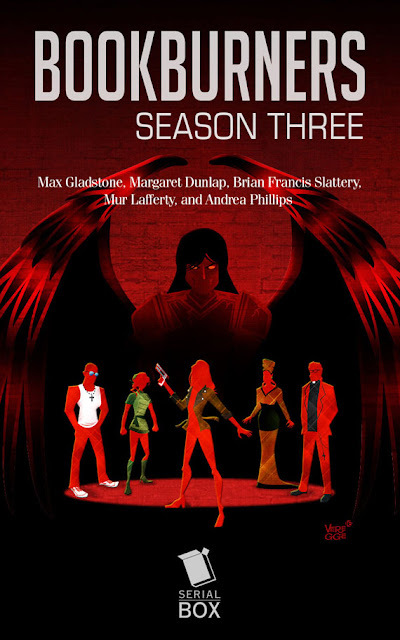 The novel reads just like an episode of the show so fans will feel right at home. Aside from Flynn, who is conspicuously absent for most of the story, all the Librarians get their time to shine as they use their own unique skill sets to do what they do best - save the world! The twist at the end was rather unexpected, but brought things full circle in a very satisfying way. If you are a fan of the TV show then The Librarians and the Mother Goose Chase is the perfect fix to tide you over until the new season starts. The Librarians and the Mother Goose Chase is a wonderful, whimsical flight of fancy. If you are looking for a fun, fast-paced adventure that will put a smile on your face then look no further. A must for fans of the TV show! Thanks to Diana Griffin from Tor for providing the review copy. Now that Winter has finally come it's time for the start of another great series. 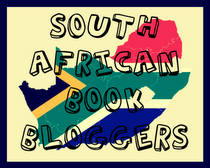 Yes, Game of Thrones was awesome, but I'm talking about Season 3 of Bookburners which starts today. Sal and her team are back and this time the threats they face are greater than ever. The first episode, Bubbles of Earth, releases on 19 July with weekly installments thereafter. Each episode is available in both text and audio form. Perfect for your daily commute or a quick lunchtime escape from reality. You can purchase episodes separately or buy a season pass for access to the entire series. If that sounds like your thing, be sure to head over to Serialbox.com and prepare to experience a new way of storytelling! To celebrate the release of Season 3 you can still grab the entire first season for just $2.99. But time is running out. The offer ends today! Reading The Shadow of What Was Lost, James Islington's debut novel, left me with an odd sense of déjà vu. Everything seemed so familiar - an orphaned boy with magical powers and his group of friends are sent on a perilous quest to prevent an evil force from being unleashed on the world. It checks off pretty much every box when it comes to classic fantasy tropes. The influence of other fantasy novels are quite apparent (the Wheel of Time most of all) and the novel almost feels like a homage to the fantasy of the 1980's. At the halfway mark, just as you start to think Islington has nothing unique to offer, he takes that comfortable familiarity and adds an unexpected layer of complexity that elevates the story to a whole new level through the use of nonlinear time. The large cast of characters, Davian, Wirr, Asha, Dezia, and Caeden, are engaging and well-drawn as each of them struggle to cope with their place in the world and the secrets they hold. Asha was my favourite character by far. She undergoes the starkest transformation and deals with it in such a strong and stoic manner that she just completely captures your heart. As the story progresses more characters are introduced and the many political machinations at play in the world are slowly unveiled. With so many named characters, especially later, it can sometimes be difficult to keep track of them all. You are completely drawn into the world with its rich and complex history filled with lore and magic. The Essence based magic system is intriguing and filled with some far-reaching implications especially since the magic users in the world are shunned and strictly bound by the Tenets which prevents them from using their magic to do harm, but it's these very powers that might be needed to save the world. All the history and lore can be somewhat overwhelming at times, especially when terms are used that are only explained later in the story, but I prefer this method where the complexity of the world is revealed in small pieces rather than large chunks of info dumping and exposition. There are many twists and turns to keep you off balance as the pace picks up considerably in the latter half of the novel and the narrative races towards the inevitable conflict. The ending is satisfying with a haunting revelation that hints at much greater things to come. Overall I really enjoyed The Shadow of What Was Lost. The pacing was somewhat uneven and the lack of glossary did diminish my enjoyment a bit. One thing is certain, if Islington can continue to expand on this immersive groundwork as his talents improve and are refined he'll be a force to be reckoned with. If you are a fan of classic fantasy novels you'll love this! 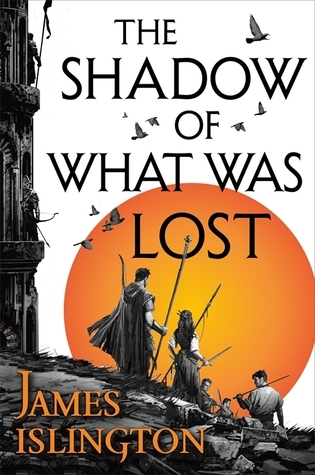 The Shadow of What Was Lost is a thoroughly engaging coming-of-age fantasy tale with far more complexity than it initially appears. It shows immense promise and I can't wait to see where James Islington takes us next. It can only get better, and if it does this will be an exceptional series!